I’m starting off the week on not the brightest note, but let’s blame my cat for my getting up late and having weird gory nightmares about guns on planes and people being carried out on stretchers, yeah? It was his fault anyway. He was all cozy and peaceful and on top of me; I couldn’t bring myself to bother him. And I’m motivated and optimistic about things! Ahh, Mondays. I love getting to start a new week. Here’s hoping for a little bit more proper content this week! 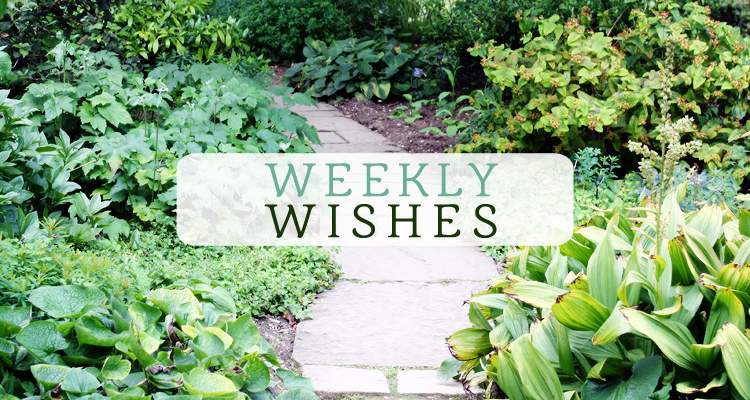 Last week’s weekly wishes, quick recap: did I let myself get overwhelmed? Yeah, I kind of did. In my defense, I didn’t get nearly enough alone time to recharge, let alone work on things. I didn’t tidy, though I recycled the box the MacBook Air box came in; I didn’t do any videos, but I got two or three ideas; I didn’t touch my graphic design shop, but I brainstormed a logo I owe; and I didn’t get the campaign reward info, but I did get back to a lot of people. As for my habits, they didn’t get much better, but I don’t think they got any worse. I did shoot these Day of the Dead masks from maskedzone on Etsy; I love how the photos came out and I love how I look in them, and I did my best to keep it as light on the cultural appropriation issue as possible, but they are Day of the Dead masks and I am white, so it is what it is. I honestly didn’t realize what Day of the Dead was or where it came from until after I made this trade (shooting those two masks in exchange for two different — one autumn-themed, one Venetian-themed — one-of-a-kind ones), and now that I know, I won’t do it again — but I wanted to honor the trade (and, selfishly, keep the OOAK masks. They’re really gorgeous). Still have to shoot the other “goddamn [redacted]” (the cloche hats like the one in my sidebar pic, only worn properly), though, so all in all, it was a draw. Do some tidying. At least one shelf! Do this. Someone nominate me for an excuse! 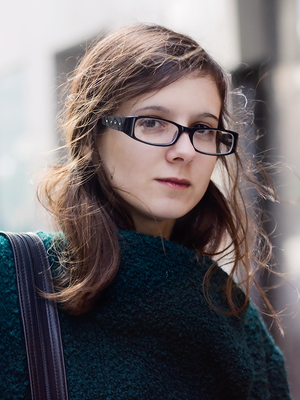 Take this experimental portraiture course! Anybody want to join me? Yes? Yes. Excellent. Let’s do this. You can do this! I can’t wait to see some of these additions to your store! You can totally do this and can’t wait to see how everything turns out. Good luck with your weekly wish list! I’m having a lot of trouble photographing some new metal times because I basically haven’t been home during daylight for days! I’m about to check out those masks – I’m intrigued. Ooooh, that Capture the Color thing looks really cool! DO IT. I wish I’d found out about it earlier so I didn’t feel like I was on such a tight deadline, ha, but it should be fun to do some browsing and pick out some pics! As long as I don’t take it TOO seriously. Show off your scissors? Now that sounds interesting. I stocked up back in June and always meant to show off what I’d got, but I never got round to it! It’s silly but I’m very fond of my new sharp sharp scissors. And the pinking shears, oh yes. The sheet on the clothesline sounds like a great idea! Hope you get some of that recharge time – I agree, it’s very important. I NEED to tidy up around our house as well! It’s getting overwhelming. Good luck with all of your goals, lovely! Yeah, I think that’s why I keep putting it off – there’s just SO MUCH to do and put away and find a place for! Thank you! I hope you get that time to yourself to recharge! I’m a total introvert and can definitely understand where you are coming from. Thank you! So far the week’s shaping up to be better than last alone time-wise; crossing my fingers it goes on like this! The mask photos are great! I’m an introvert, too, and hear ya on alone recharging time.